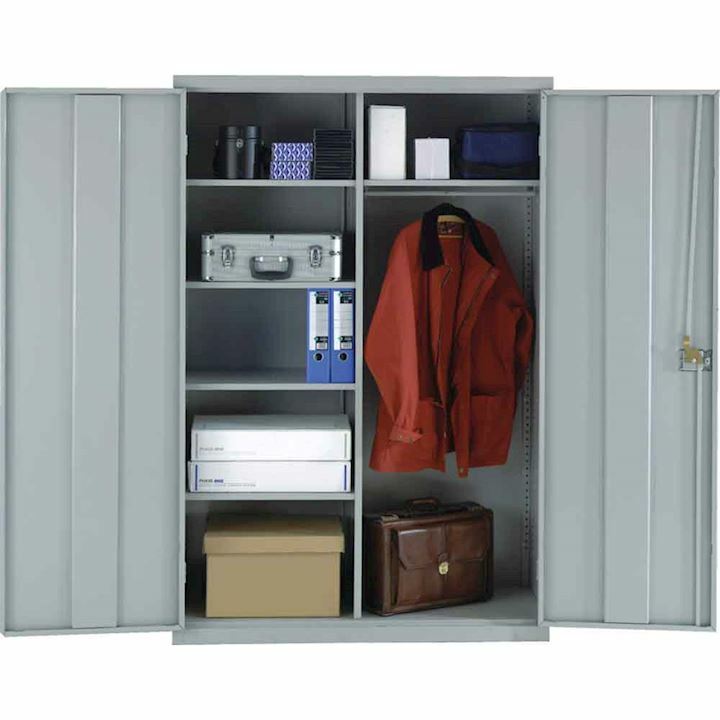 Our large volume cupboards provide spacious storage for larger items in the workplace, secure and available with various internal shelf and divider configurations. 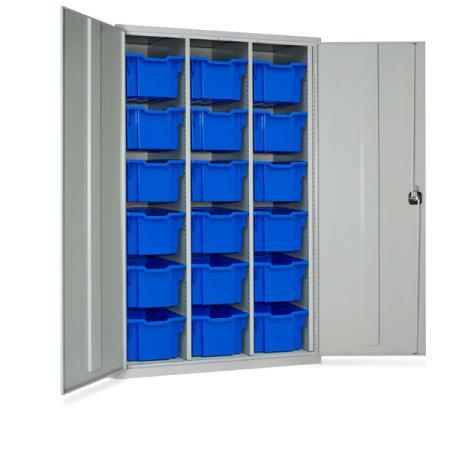 Shelves are supported on clips and are height adjustable ideal for storing janitorial supplies, clothing and equipment. This range of extra wide cupboards compliments our existing comprehensive choice of standard cupboards and security cupboards. All our high volume cupboards are 1220mm wide to give greater flexibility. For further information on our large volume cupboards please contact us by telephone or email.